Photographer Jason Laboy managed to get the whole Suicide Squad together for this shoot. Oh, and Batman too. 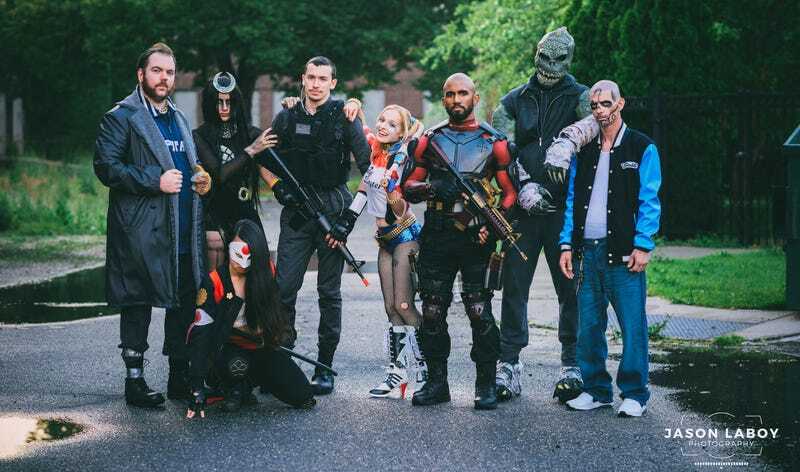 The cosplayers are: Dead Shot, Harley Quinn, El Diablo, Enchantress, Captain Boomerang, Katana, Killer Croc & Rick Flag.